The kids are all back in school. I had to type that in obnoxiously large font. We had many revolving illnesses for the two weeks prior to our two week break, plus a few snow days immediately upon our anticipated return, so I have had children home for nearly 5 weeks. Hence, the reason that miracle deserved an extra large font. Doing my usual upteenbillion loads of laundry. After finding the remains of several Christmas chocolates in my dryer I initiated the prewasher pocket cleanout for the subsequent loads. One extra small down purple coat -- weighing an unexpected 10 pounds when I picked it up. 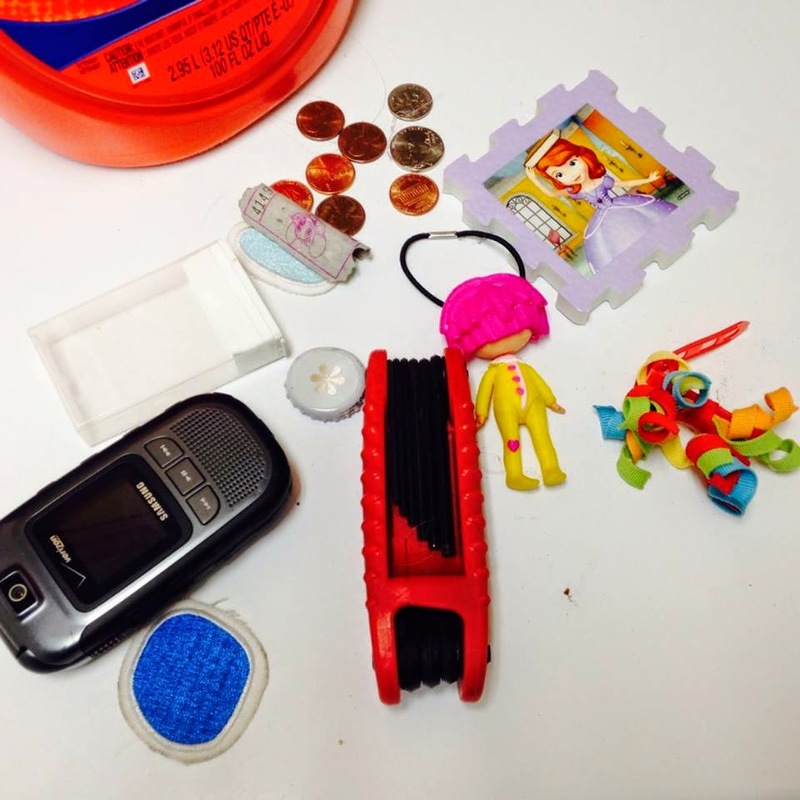 I started pulling all sorts of treasures out of those itsy bitsy pockets. . . and the treasures kept coming and coming. I never cease to be amazed at my little Eliza. I wonder how long she has been collecting all of these pocket essentials? No wonder she hasn't been able to keep up with me in the grocery store. She has been weighed down by her deep pockets.